Floor heating distributes the heat evenly throughout the interior of your cabin and makes your cabin a more comfortable place be. However, if you turn the heating down between visits, getting it back up to comfort temperature takes a long time. DEFA Cabin Control lets you turn up the heat before you arrive with your mobile phone, so the cabin is warm and pleasant when you arrive. 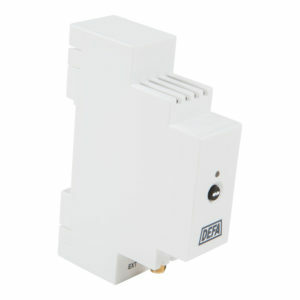 Most thermostats have ports that allow for external control. 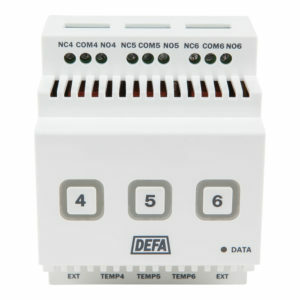 Some thermostats can also be programmed for a desired conservation temperature. 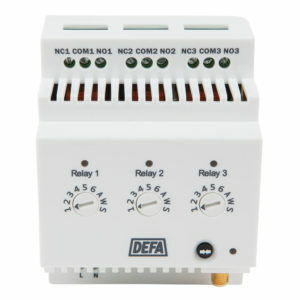 With a relay in the fuse box you can adjust the temperature through the DEFA app or our website. The DEFA Link app gives you full control over the heating in your cabin. 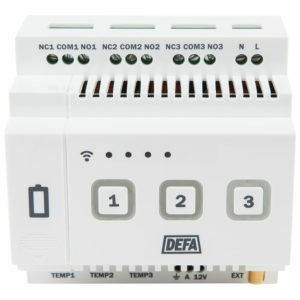 If you can’t connect a thermostat to your fuse box directly, a wireless thermostat is a good alternative. Our central units communicate with NOBØ’s wireless floor thermostat TRB 36 700. This can be programmed to hold desired conservation and comfort temperatures. You can switch between these settings in the app or on the website. The solution requires that the zone is set to thermostat mode.